Last week we presented the completed research and tools of our EnDOW project++EnDOWEnhancing access to 20th century cultural heritage through Distributed Orphan Works clearance. For more information see this project page. at the European Union Intellectual Property Office (EUIPO). Over the last three years Kennisland’s Maarten Zeinstra has been an external technical advisor in this project aimed to make orphan work determination as simple as possible. The research and tools++Beta versionWe launched a beta version with three jurisdictions back in July 2017. Read more here. that this project produces help to guide the layperson through the complicated legislative requirements for orphan work registration in twenty jurisdictions of the European Union. The project has developed sixty decision processes for twenty jurisdictions. It has indexed over 1,700 sources that need to be checked in these jurisdictions. Our tool on diligentsearch.eu makes available over 3,000 questions that help you through the process of determining whether a work is indeed an orphan which can be registered at the EUIPO. 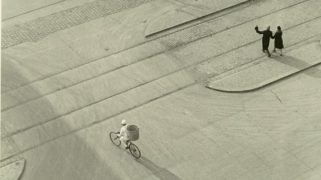 As previously argued++The trainwreck that is the Orphan Works DirectiveSee the opinion piece ‘The trainwreck that is the Orphan Works Directive‘ by Maarten Zeinstra. by Kennisland the Orphan Works directive is too complicated to solve the issues of orphan works in the heritage sector. Even though all examined countries have implemented the directive nearly literally as to the beneficiary institutions, the categories of works and kinds of activities to which the exception applies. There are, however, several discrepancies in regard to the appropriate sources to carry out a diligent search, and the ways to document a proper diligent search. Most of all, the absence of hierarchical validity of the appropriate sources for diligent searches leave the clearing of rights uncertain. WDiligentSearch.eu aims to make orphan work determination so simple that a layperson could do this.orryingly, a significant share of the sources that you need to consult are not freely accessible online. You either have to register on a website or have to physically go to an institution that hosts the potential relevant information. This makes the diligent search resource intensive and often simply unworkable. The research of the EnDOW project shows that rights clearance will remain expensive and that even with our tools there is continued uncertainty regarding the scope of the Orphan Works directive and the diligent search requirements. Read the full reports of the EnDOW project on diligentsearch.eu. That this clearing process is too complicated shows in the EUIPO’s orphan works register. While the register was made to catalog millions of works it only has 5,421 main works and 5,664 embedded works since October 2014. You would expect far more registered works, given that there are millions of books, audio recordings and audiovisual works that lack provenance information. Kennisland has experience in developing tools and research that make the complicated European Union copyright framework transparent. In the past we have developed copyrightexception.eu and outofcopyright.eu. 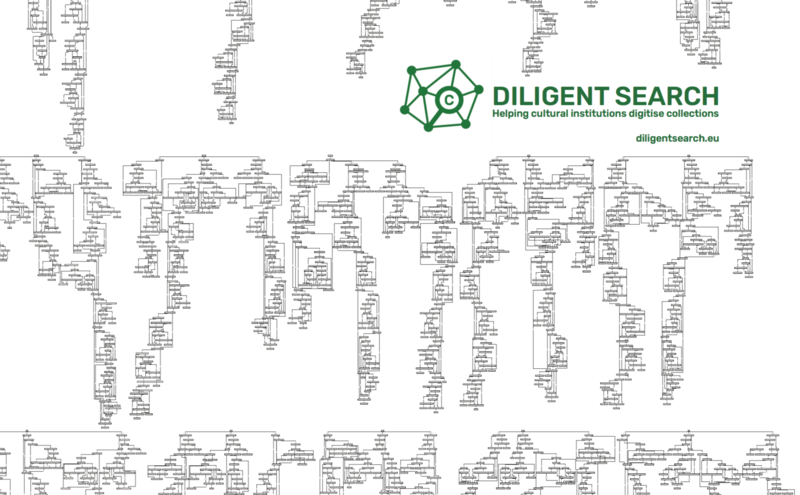 diligentsearch.eu has proven to be our the most complicated legal challenge turned into a tool thus far.diligentsearch.eu has proven to be our the most complicated legal challenge turned into a tool thus far. Our diligent search tool allows you to select a jurisdiction, a category of works, and a language before prompting you with the relevant questions for your search. The diligent search platform offers a tool to guide the layperson through the requirements of a diligent search in twenty jurisdictions. It allows users to save and export their diligent search results. This allows laypersons to start a diligent search, come back to it later, or share their intermittent results with others. It allows you to crowdsource the diligent search process. The search results can be exported after a diligent search is completed. When no rights holder can be identified the diligent search report can be registered at the European Union Intellectual Property Office. After this registration the hosting cultural heritage institution can finally present the orphan work in a digital format to its audience. Our tool makes it as easy as possible to do a proper diligent search.Our tool makes it as easy as possible to do a proper diligent search. However, it is sufficiently simple to overcome the costs of clearing one orphan at a time. Our opinion is that even with our hard work the Orphan Works directive remains fundamentally broken. Try the tool yourself on diligentsearch.eu. Questions? Contact Kennisland at info@kl.nl. During the 15th edition of our Out of Office we discussed the recent developments concerning the ongoing copyright reform in Europe. 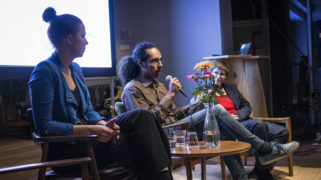 Together with MEP Julia Reda and artists Rita Zipora, Rufus Kain and the audience we had a lively discussion concluding that article 13 does not solve the problems creators face while infringing users rights'. Kennisland is one of the initiators of the Create.Refresh campaign. The Create.Refresh campaign opposes the proposed measures that privilege the interests of big rights holders above the interests for small and independent creators and users and aims for a better solution that works for all creators, large and small and their audiences.